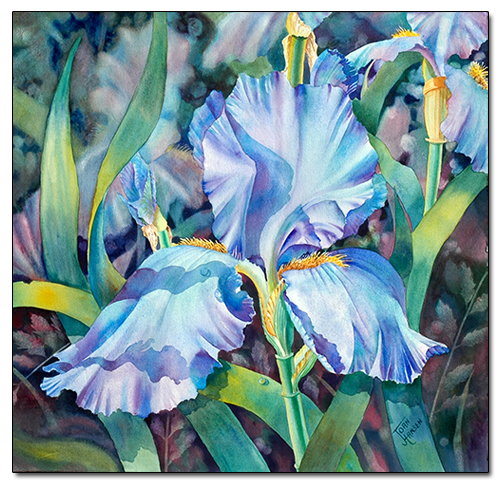 This is a watercolor painting of a beautiful iris that is bathed in sunlight. Each petal is carefully painted with harmonic tones of blues, aquas and mauves. This original painting is sold. Contact the artist through the Contacts & Links page for information on purchasing a print of this image.